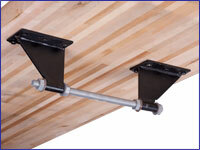 Each Oxford shuffleboard table features a contemporary design and is handcrafted using solid mahogany. 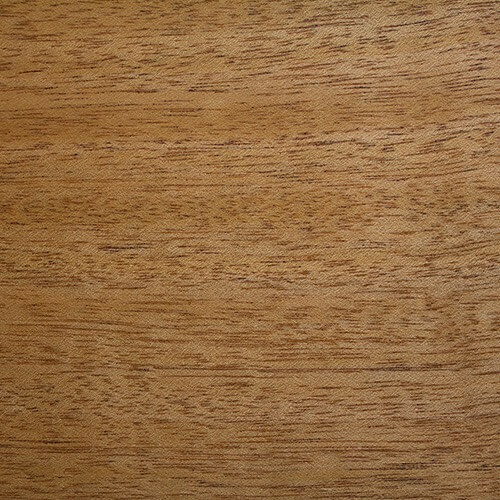 The mahogany used to build each table is hand selected by one of our master craftsmen for exceptional color consistency and surface quality to ensure that the finished product has a rich, warm appearance. 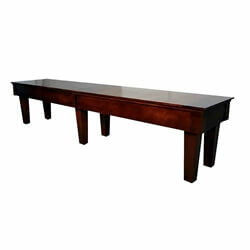 With a clean, sleek table profile, our Oxford shuffleboard tables naturally complement most home and game room decors. We also offer the Oxford in Hard Maple with a black rubbed finish. The overall clean, architectural style of the Oxford is the achieved by the breathtaking construction that goes into every handmade detail. From the handcrafted dovetail joints at the corner to the premium inlayed carpet inside the solid mahogany cabinet, our Oxford shuffleboard table is a thing of beauty. 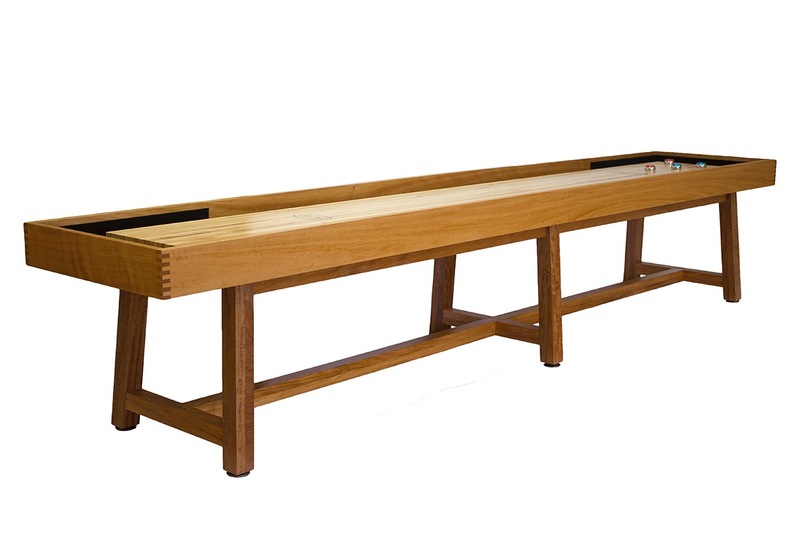 The Oxford shuffleboard is one of our higher-end models. 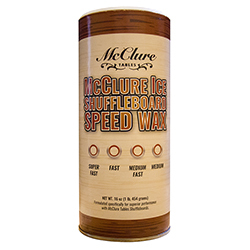 While this is a significant investment, it is justified by the superior quality of the materials and the amount of care that goes into making each one of these shuffleboard tables by hand. Our Oxford series is available in a variety of table sizes ranging from 9 feet all the way up to 22 feet. 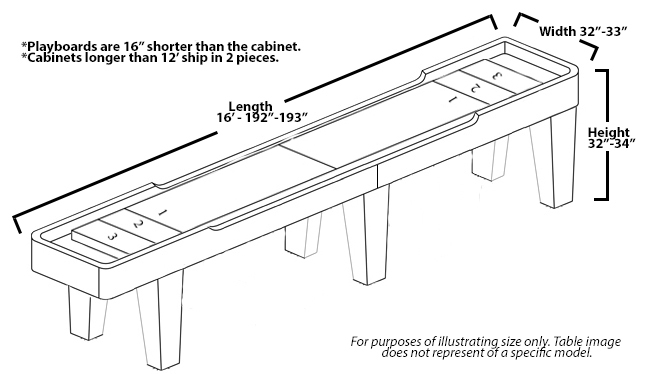 Each Oxford shuffleboard table features a 20" wide and 3" thick playing surface that is made by hand using premium North American hard maple and sealed with a specially formulated finish that has a life time warranty. 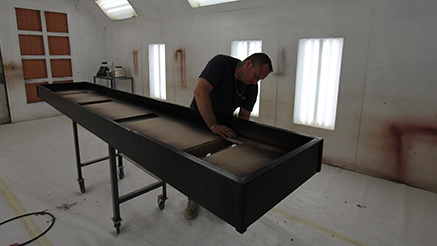 Every Oxford shuffleboard table is built to order at our Grand Rapids, MI facility and can be custom finished to match the decor of your home or game room. 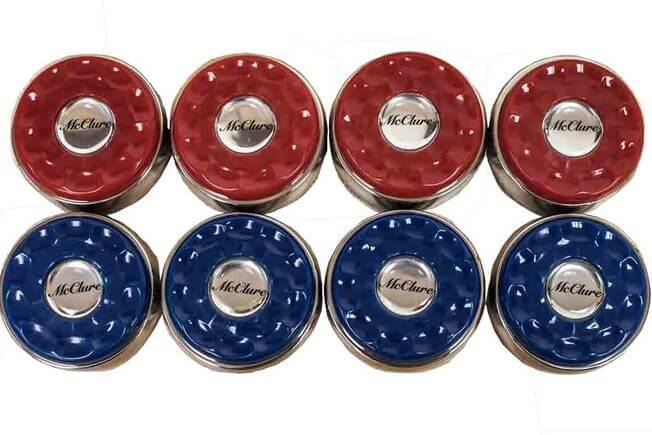 Your order comes complete with 8 shuffleboard pucks and 1 can of shuffleboard wax powder. 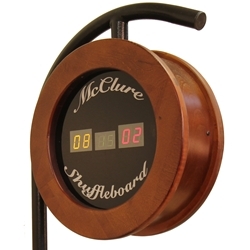 Optional accessories, such as traditional or electronic scoring units with a matching finish, are available during checkout.